This is the story of 13 years and a birth so unusual that, for a handful of people, every detail remains to this day vivid and unforgettable. The birth was unusual not in the clinical sense, but in the historical sense – unusual in that which preceded and followed it. It is the story of Menasheleh, growing up under what seemed to him to be perfectly normal conditions. For him, his entrance into the world and into our people’s immortal Covenant remained more or less a mystery, over which he had never lost much sleep. But mostly it is the story of the saintly Leah, Menasheleh’s mother. After Menasheleh’s birth she dedicated herself to the fulfilment of the secret vow she had made during some of the darkest days our People have ever known. Only after her death did her husband find a yellowed slip of paper containing a short note, written in Hebrew, which she had dated 12th Menachem Av, 5704 (1944): “I have been here for three weeks. My husband, father, family, and Ida are, I know not where, and I have heard nothing of them. Here in this camp, at 3 o’clock in the afternoon, I hereby make a vow that if God reunites me with my family and with the Jewish people I will bring up my children to be dedicated to Yiddishkeit, and l will help them and their father learn Your Torah all their days.” And she did. 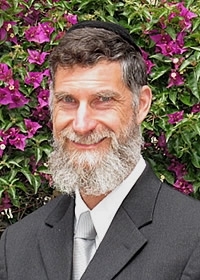 Rabbi Hanoch Teller is a modern-day maggid (storyteller of yore). He has written 28 books and is a senior docent at the Yad Vashem Holocaust Museum in Jerusalem. He has also produced a number of DVDs on Jewish history and Jewish life. September 24 -26, 1941- SS-Wehrmacht seminar. 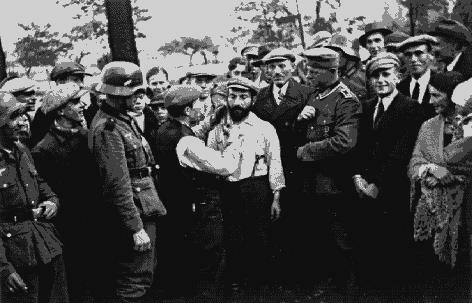 On 24–26 September 1941 in Mogilev a joint SS-Wehrmacht seminar was held on how best to kill Jews. The seminar ended with the 7th Company of Police Battalion 322 shooting 32 Jews at a village called Knjashizy before the assembled officers, as an example of how to “screen” the population for partisans. 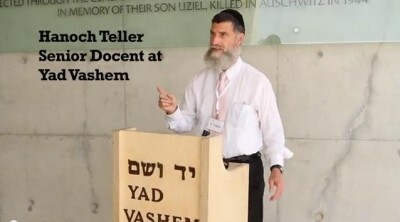 Rabbi Hanoch Teller gives us a tour of yad vashem.